As we explore the deep, rich mine of God’s truth in Romans, we do so with great gratitude to Him who led Paul to write these words. 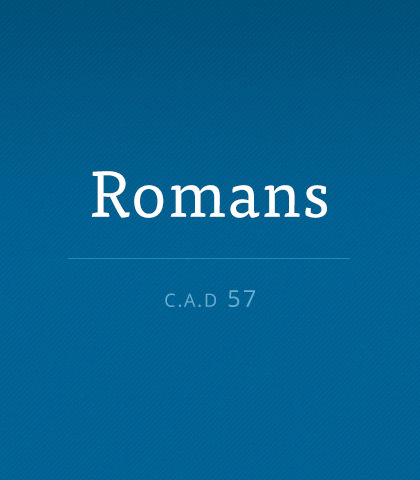 Like no other book of the Bible, Romans forms the doctrinal cornerstone of Christianity. Because it touches on every major belief of Christianity, it is foundational to our faith. When was the last time you directly gave a word of encouragement to someone else? Form a new habit: think of a way to encourage one person every day. It will change your life. To illustrate how God uses ordinary people, let’s travel back in time to a period of history called the Reformation. The Reformation’s heroes and battlefields may not be as recognizable as the American Revolution’s George Washington and Valley Forge. Yet the soldiers who led a religious revolution from the 1300s to the 1500s made a tremendous difference in what matters most to us—our understanding of God, the Bible, and salvation. In the previous lesson, we studied several faithful men from the Reformation era. Time failed us, though, to tell the whole story of the greatest difference maker of that period, Martin Luther. Let’s pause for a while at his portrait and draw courage from his example of faith. A substitute is someone who takes the place of or acts instead of another. In education substitute teachers stand before a class usually taught by someone else. In the game of baseball a substitute hitter or runner is commonly used to take another player's place. Even the prime minister, if necessary, appoints a substitute and gives him or her the full authority of leadership. What is true in the classroom, sports, and politics is also true in our relationship with the living God. Erosion is a slow and silent process and no one is immune from it. If you don’t stop yourself in a downward spiral, then last week’s wrong choice doesn’t seem so bad this week. And on and on.